The yard at my home studio in Killingworth, Connecticut is a perfect backdrop for outdoor sessions. 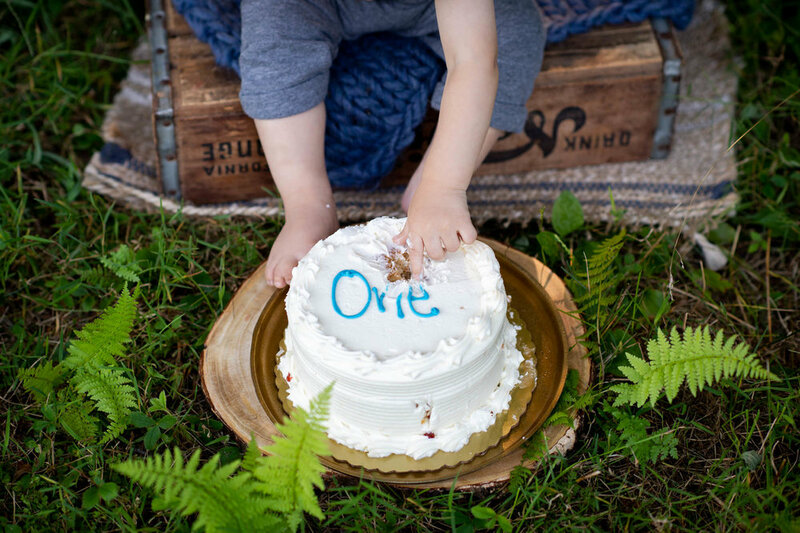 One year milestone sessions are a great time to take advantage of this and capture a variety of images that really tell a story. And, because it is my home, I know all the best spots that have the best lighting at any time. 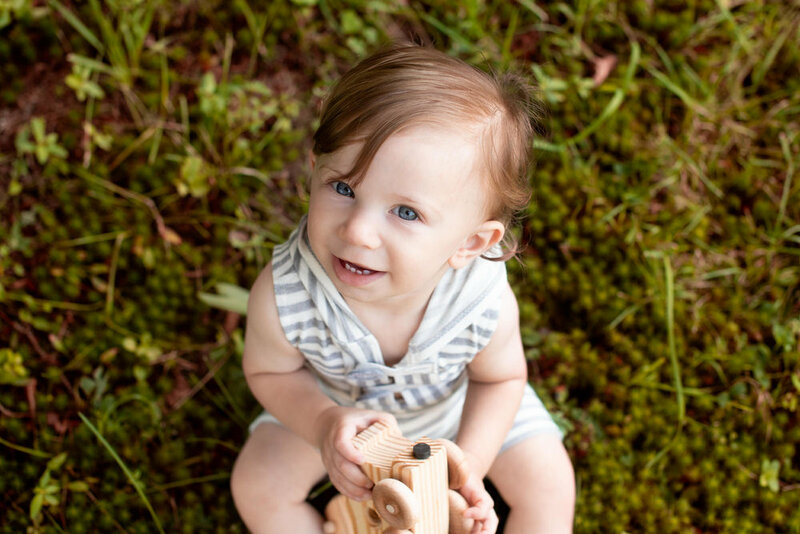 Since one-year-olds are often on the move and don’t take direction, an outdoor session is ideal. It allows your little one to play and be themselves, really documenting who they are at that moment in time. Remy and his parents came to the studio for his one year session over the summer, and believe it or not he had already been walking for months! 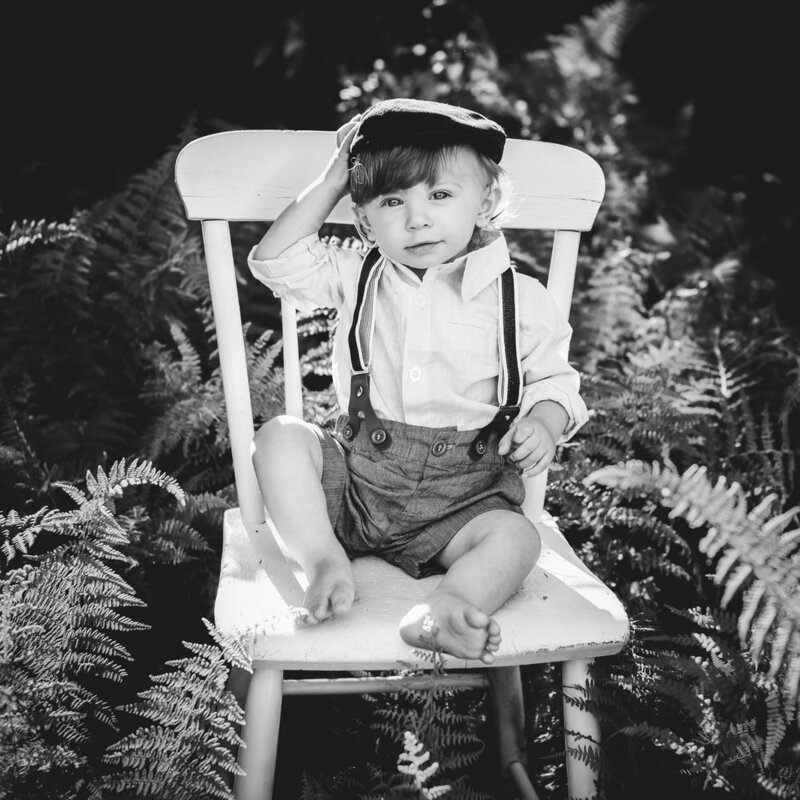 We played with trains, hats, wagons, had a cake smash, and even got in some family images. 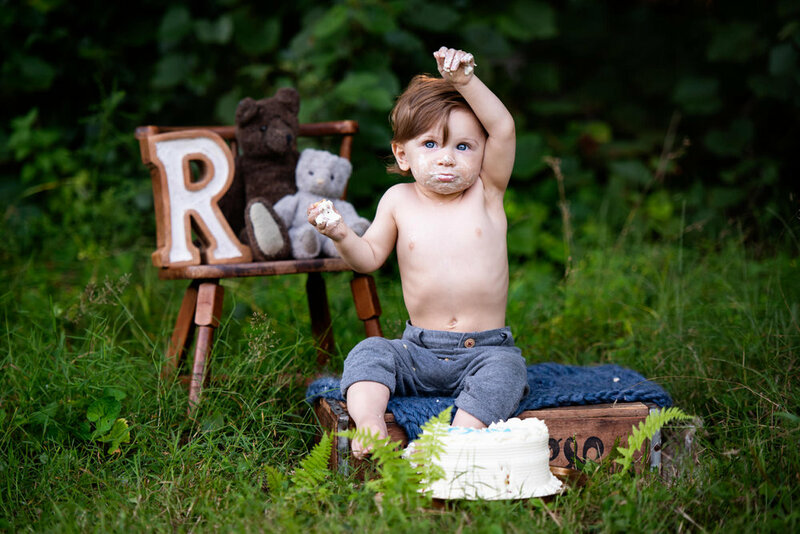 You never know how a one-year-old is going to react when a cake is put in front of them. Some of them go to town, while others want nothing to do with it. Remy was somewhere in the middle; curious yet somewhat hesitant. With a bit of encouragement, he ended up covered in cake - and made some pretty adorable faces on the way. Following the cake smash, we were lucky enough to catch some gorgeous light. After cleaning Remy up, we headed to the back of the yard for some images in an old Radio Flyer wagon that I fixed up and some relaxed posed-but-unposed family images. Remy was a pleasure to photohraph! I love having family sessions in the yard at my home studio. Easy access to air conditioning, bathroom, and my studio wardrobe. Looking forward to the upcoming warm weather so we can get outside and create some new family memories!